Lookout Border Collies - CH Redwood's Agave Kiss "Smooch"
CH Redwood's Agave Kiss "Smooch"
Smooch is now living in Colorado with her human, and my neice, Hunter! What a pair they make! Thank you Hunter and Ben for being her loyal humans! 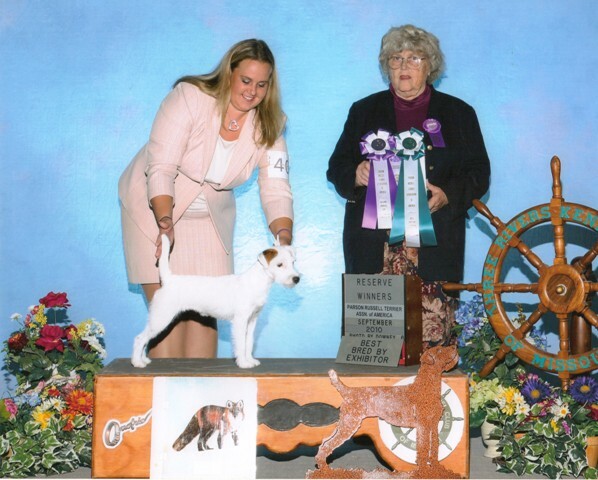 Below: Smooch going RWB/Best Bred By at the Purina PRTAA Specialty 2010! Huge Thank you to my dear friend, Darcy Bartholomay, of Full Throttle Terriers, for assisting us in finishing Smooch's championship! You're one in a million!